Have you decided your Super Bowl menu yet? If you are having difficulty in picking the right foods to serve your guests among zillions of Super Bowl recipes out there and need help about this, I’d love to share our favorite Last Minute Game Day Food Ideas from snacks and appetizers to desserts. The recipes in this list are those I make quite often. They are always a hit whenever we host a party at home. If you are a last minute person like me, look no further. 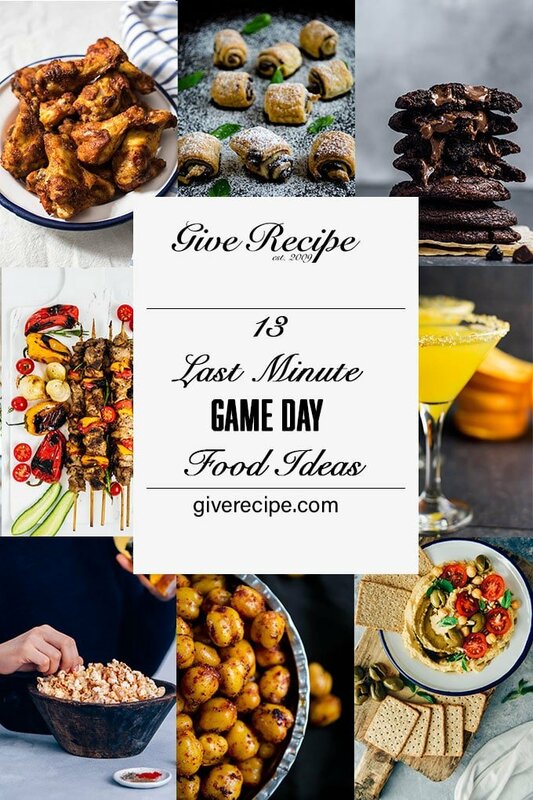 I’m sure you will find something for your taste in this round up of easy game day food recipes. Click on the image or the recipe name to get the recipe. These awesome Super Bowl appetizers will rock this Sunday. Your friends will be hooked by them as they look so inviting. You will be surprised when they disappear in a minute. 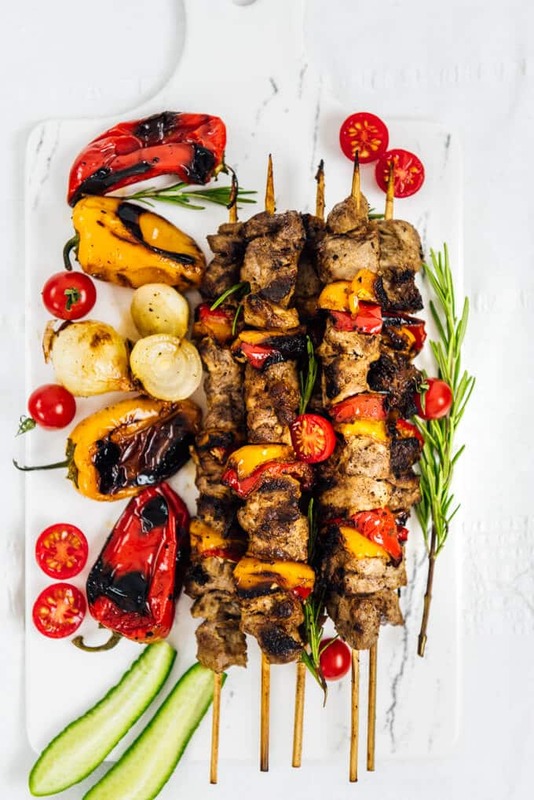 Lamb Shish Kabob Recipe: Make a surprise to your guests and serve them these super tender and juicy shish kabobs as a starter. The yogurt marinade is the secret of their tenderness. Hummus Without Tahini: We need to consider low-calorie appetizers too when we are ready to eat a lot, right? This hummus recipe doesn’t require tahini, but it is as delicious as a regular hummus. Spicy Mango, Black Bean and Avocado Tacos: These make a great vegetarian game day food option for your guests. Who doesn’t love tortillas stuffed with all those good things? Everybody loves finger foods at parties and the ones with chicken are Super Bowl party staples for sure. Here are my favorite chicken recipes to jazz up any special occasion. These are finger-licking good! Crispy Buffalo Wings: Belive it or not, these are baked in oven. Incredibly crispy thanks to a secret ingredient. Watch your friends lick their fingers when you coat them with a luscious hot sauce. Sticky Baked Chicken Wings: These are so addictive thanks to the sweet, tangy and spicy sauce used for their coating. Can you think of a Super Bowl party without snacks? You will become a fan of the following savory snacks. They are easy to make with simple ingredients. 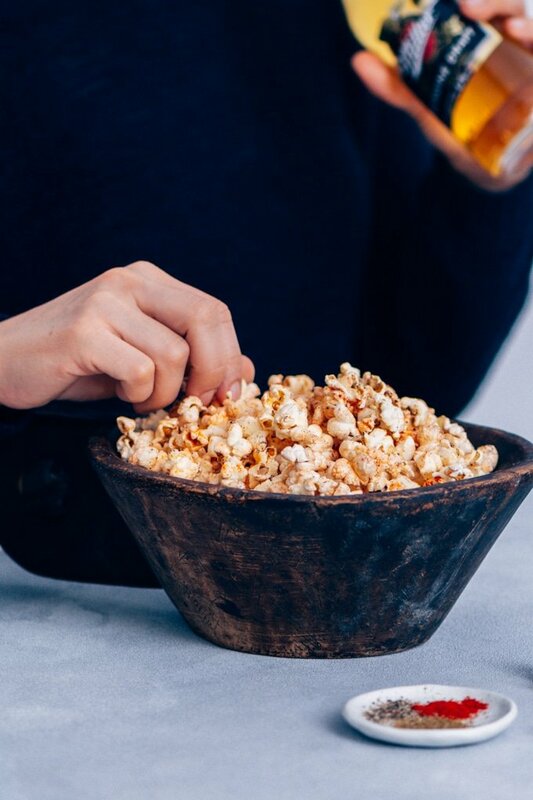 Spicy Popcorn: These are made on the stove and ready in five minutes. You can easily make the recipe again when your guests finish them up and ask for more. Spicy Crispy Roasted Chickpeas: These make amazingly tasty healthy game day snacks as they are roasted in oven and include a little olive oil. Vidalia Onion Strings With Horseradish Aioli: Thin sweet onion rings are fried and served with a peppery horseradish sauce on the side. Is there a better way to end a party than serving some amazing desserts? Check out the following easy sweet treats and decide on one of them! Easy Chocolate Puff Pastry Rolls: A dessert recipe cannot be easier than this. Puff pastry rolls are filled with nutella and then baked. They are perfect for game day parties. Mexican Hot Chocolate Cookies: These are for true chocolate lovers. Wonderfully chewy on the edges and soft on the inside. The spicy twist takes them to the next level. Oh and don’t forget the beverages. While you can simply go with beer, wouldn’t it be great to welcome the guests with some fancy cocktails? 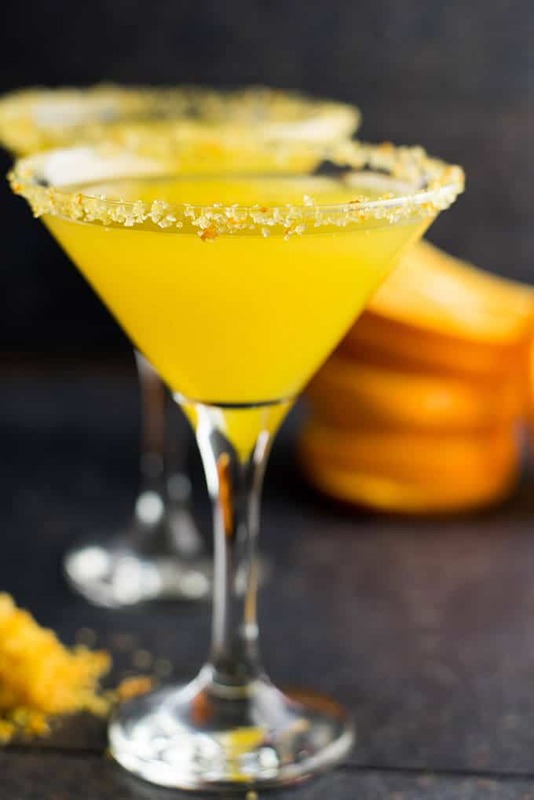 Orange Vodka Martini: This is a 4-ingredient orange based cocktail that you can serve to welcome your friends. They will love both the color and the citrusy taste of it. 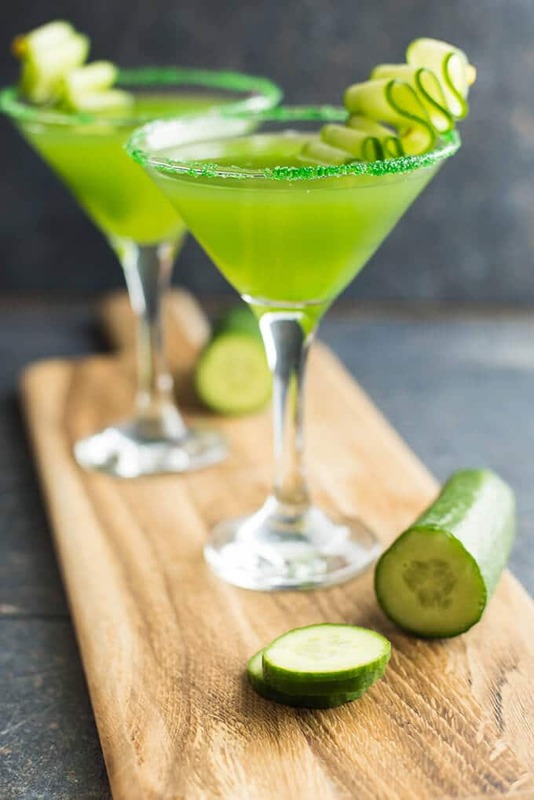 Cucumber Martini: The combination of cucumber, fresh mint and lime makes it a unique cocktail with its bright color and refreshing taste. Naturally Sweet Margarita: Sweetened with a simple syrup made with honey. You will love the perfect blend of tart and sweet in this margarita recipe. So hopefully thinks get easier for you this Sunday with these 13 Last Minute Game Day Food Ideas. Please tag me @zerrin_giverecipe on Instagram if you make any of these recipes so that I can see.